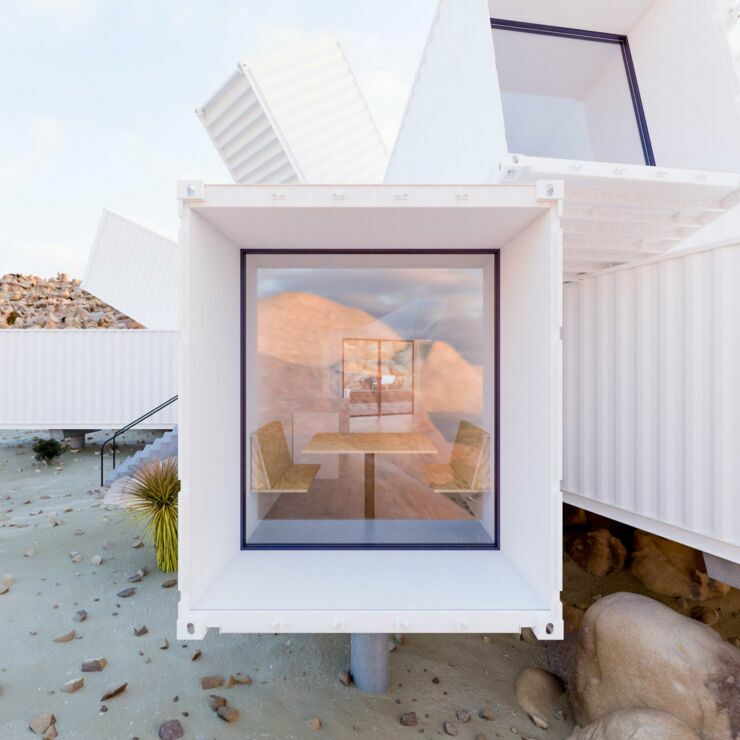 A shipping container home might not sound like a luxury abode, but a new project by architect's Whitaker Studio may well change your mind. 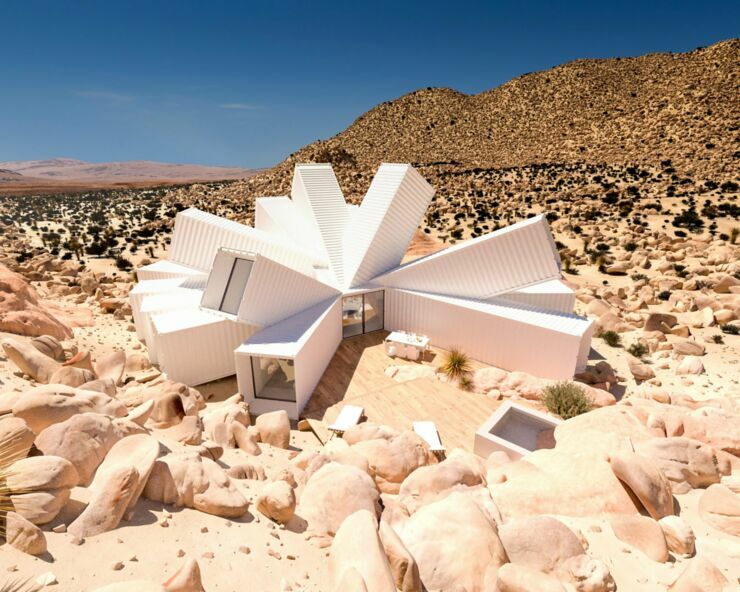 Called the Joshua Tree Residence the flower-shaped concept house made from shipping containers is due to be built in the deserts of the Joshua Tree National Park in Southern California. 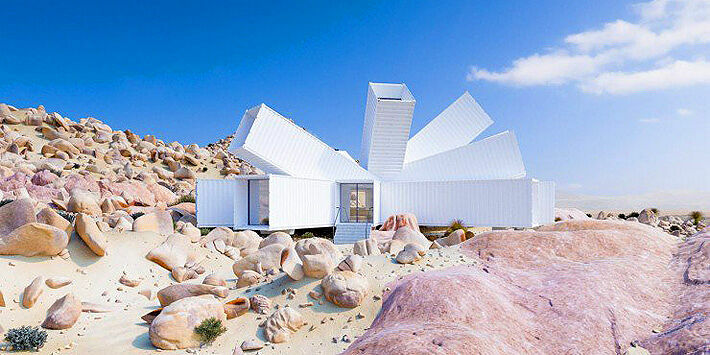 The shipping container home will be comprised of angled shipping containers set out to look like a flower in bloom. It's being built for a film producer and his wife who live in Los Angeles, and construction is due to begin in 2018. 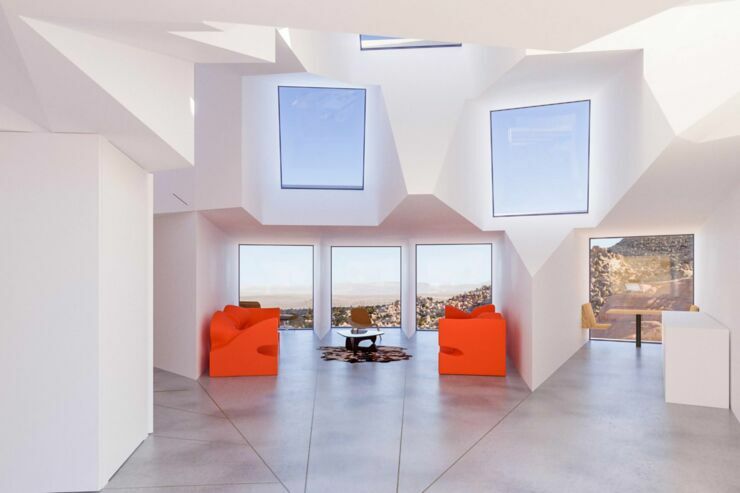 The property will be laid out in a starburst formation to ensure enough natural light is provided in some rooms, while others provide great views, and others privacy. 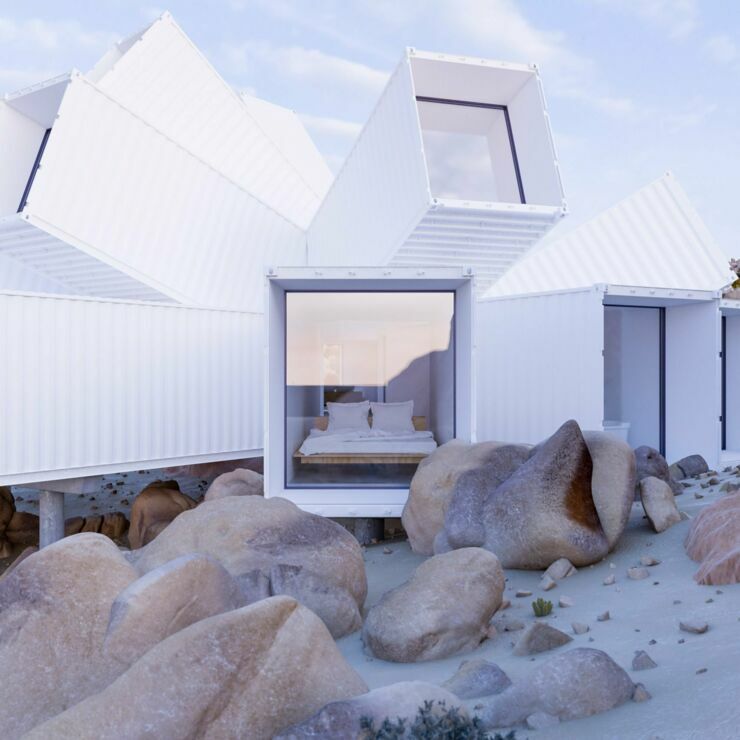 The Joshua Tree Residence will be built on a 90-acre plot owned by the film producer and is based on another design by Whitaker Studio for an office building in Germany using shipping containers that never happened. The producer was on a trip with some buddies when one of them suggested this as a design to consider. "While there, in the middle of this rocky desert, one of the friends said, 'You know what would look great here? 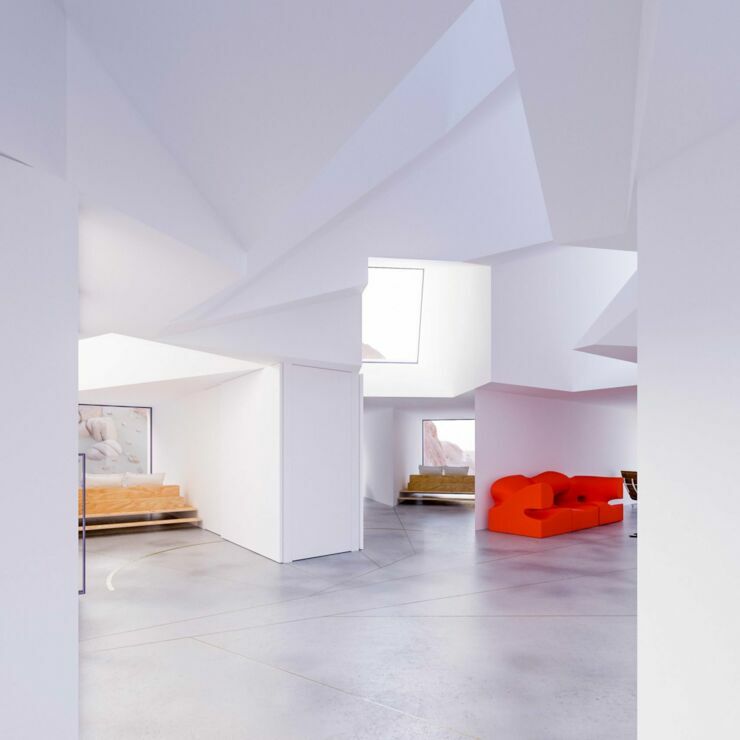 ', before opening her laptop to show everyone a picture she had spotted on the internet," James Whitaker, who runs the studio, told Dezeen. 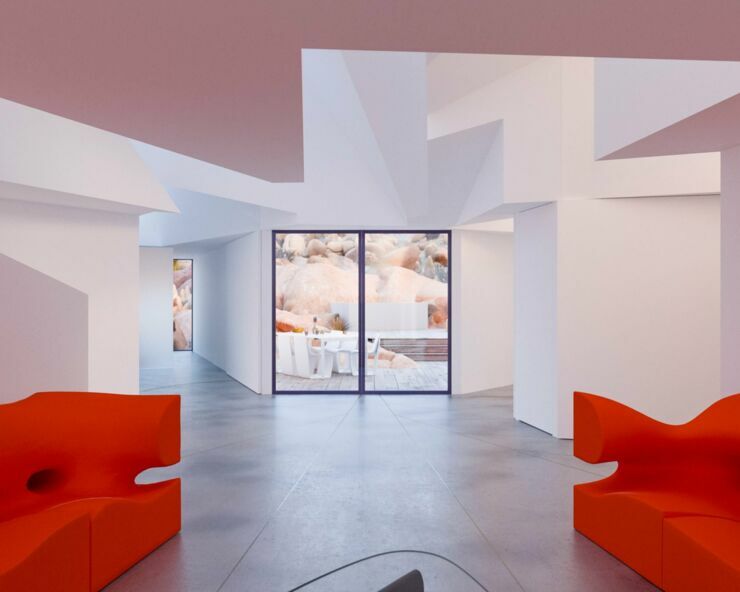 "The picture was of an office that I'd designed years ago but had never been built – Hechingen Studio. The next time the client was in London, we met up." The project will now be built in a gully formed over the years by flowing stormwater. 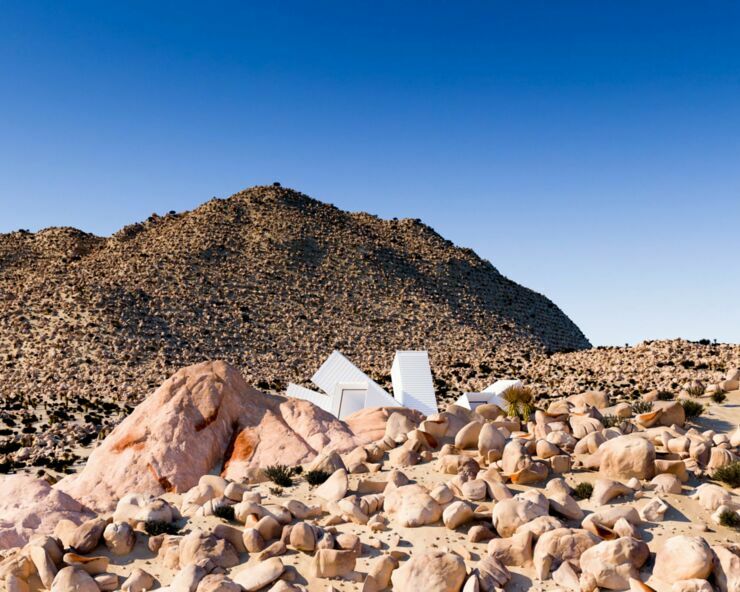 Due to this it will be raised on concrete pillars so water can pass beneath, and the 'exoskeleton' of containers will be painted white to reflect the hot desert sun. 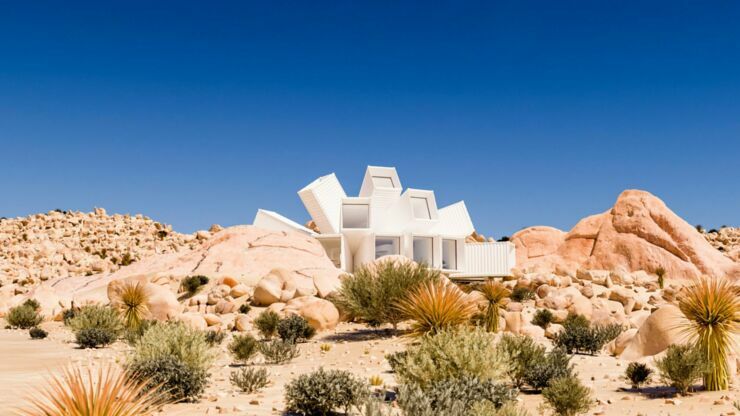 Construction of the Joshua Tree Residence project will begin next year. 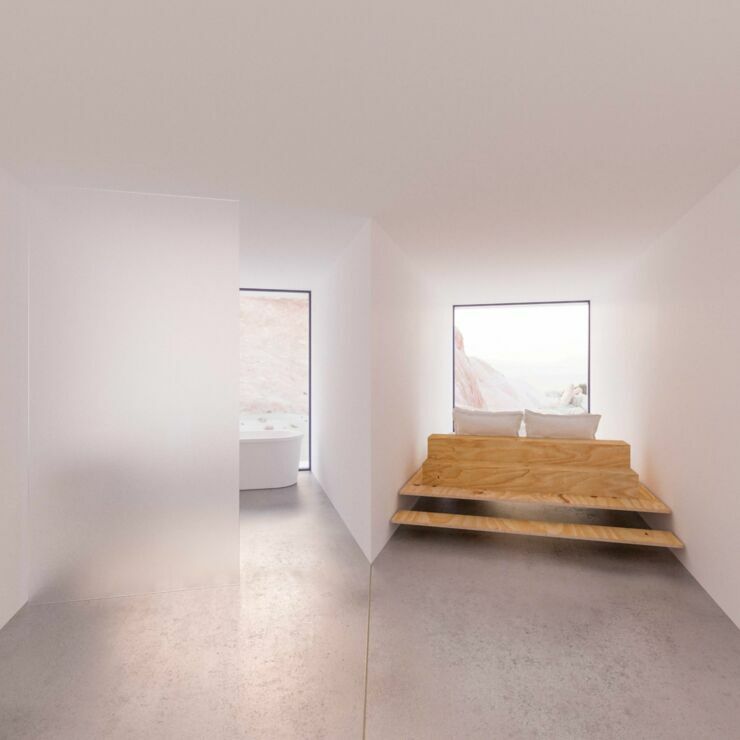 Inside the 2,153 square feet shipping container home will be a living room, kitchen, dining area, and three bedrooms. The property will also have a back yard of sorts, a shielded area with wooded deck and hot tub. Check out some concept pics of the property below. And see more from Whitaker Studios at their website here. Sleep Tech: So What Options Are Out There For Us To Get A Good Night&apos;s Sleep?